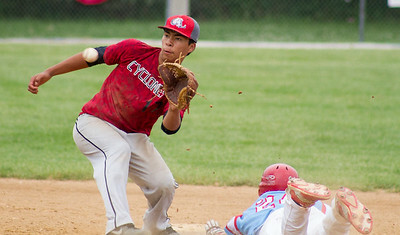 Mike Greene - For Shaw Media Crystal Lake Cyclones' Gus Arellano receives a throw at second base during a MCYSA 15-U tournament baseball game against ITB CHiLL Sunday, July 26, 2015 at Lippold Park in Crystal Lake. 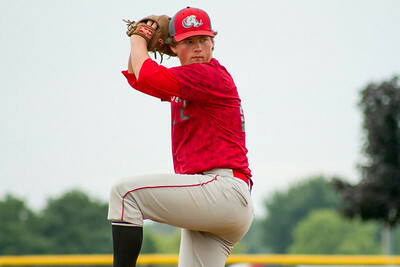 Mike Greene - For Shaw Media Crystal Lake Cyclones' Dylan Rhodes pitches during a MCYSA 15-U tournament baseball game against ITB CHiLL Sunday, July 26, 2015 at Lippold Park in Crystal Lake. 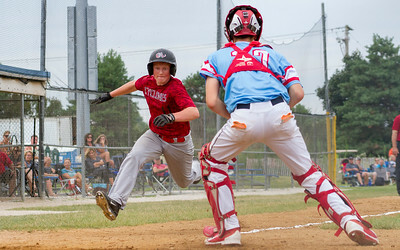 Mike Greene - For Shaw Media Crystal Lake Cyclones' Alex Bacak prepares to slide into home plate during a MCYSA 15-U tournament baseball game against ITB CHiLL Sunday, July 26, 2015 at Lippold Park in Crystal Lake. 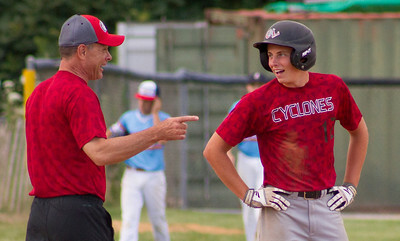 Mike Greene - For Shaw Media Crystal Lake Cyclones' Dylan Rhodes smiles while talking with his coach at third bases during a MCYSA 15-U tournament baseball game against ITB CHiLL Sunday, July 26, 2015 at Lippold Park in Crystal Lake.e. 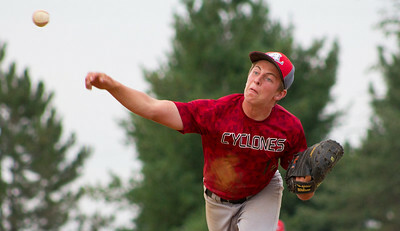 Mike Greene - For Shaw Media Crystal Lake Cyclones' Jack Updike pitches during a MCYSA 15-U tournament baseball game against ITB CHiLL Sunday, July 26, 2015 at Lippold Park in Crystal Lake. Mike Greene - For Shaw Media Las Lomas Potros players celebrate after scoring during a MCYSA 15-U tournament baseball game against the Wisconsin Thundercats Sunday, July 26, 2015 at Lippold Park in Crystal Lake. 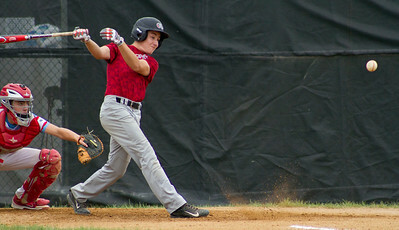 Mike Greene - For Shaw Media Crystal Lake Cyclones' Jake Staples hits the ball off the ground during a MCYSA 15-U tournament baseball game against ITB CHiLL Sunday, July 26, 2015 at Lippold Park in Crystal Lake. 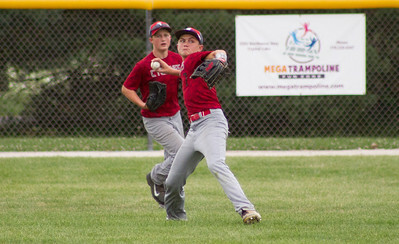 Mike Greene - For Shaw Media Crystal Lake Cyclones' Jake Murphy prepares to throw the ball into the infield during a MCYSA 15-U tournament baseball game against ITB CHiLL Sunday, July 26, 2015 at Lippold Park in Crystal Lake.